“The Good of the Hive” is a quest by urban artist Matthew Willey to paint 50,000 honey bees in murals across America, and it has already connected North Dakota with New York, Florida with New Hampshire, and the wife of the Vice President, Mrs. Pence, with a third grader in Washington. Where the bees are painted, people come together to learn about and advocate for pollinators (he includes the odd butterfly, too!) and to find connection with each other through concern for the magnificent world of bees and people. Ten years ago, as a successful muralist, Willey was struck with wonder by an incident that would have caused most beekeepers a bit of worry. While working in his Manhattan studio, he saw that a worker bee had landed, and was resting nearly motionless on his floor. New to the beauty of bees, Matthew crept down and took a closer look. 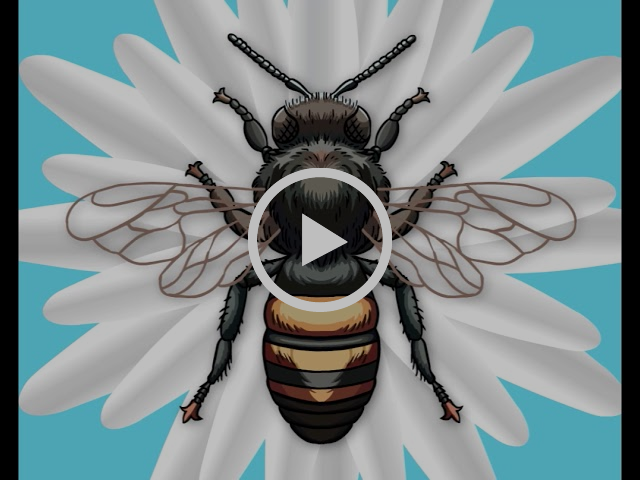 To his surprise, felt a connection (like so many of us do) and was visited by an inspiration that has since taken him around the United States as an artistic advocate for bees and the ties that bind all of us. The second surprise was that he learned of the role of “altruistic suicide” in the life of a honey bee. As beekeepers know, the bees do not permit anything dead, dirty, or diseased inside the walls of their hive, and their very life cycle – from house bee to guard to forager – causes the majority of them to die away from home, and without causing a burden or risk to her sisters who maintain the colony. The name of Matthew’s project, “The Good of the Hive,” came from that lesson. He learned that a honey bee’s immune system is collective: the status of the health and body of any individual bee’s body is not separate from the rest, but her strength is nonetheless a critical contribution to the life of the hive. It occurred to Willey that, as a human, that was true for him, too. All of the work in “The Good of the Hive” is linked to that idea. In 2015, he got a chance to put that vision into action. 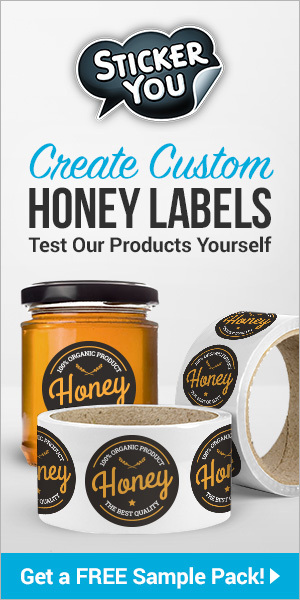 One of Matthew’s friends, knowing of his interest, sent him a video of a large blank wall on a family-owned honey company in LaBelle, Florida, and suggested that he ask whether they might want a mural of honey bees. 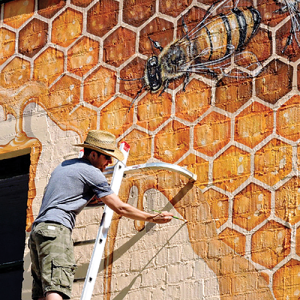 At this time, as a full-time muralist and with a growing fascination with honey bees and their behaviors, Matthew had not yet painted a honey bee mural. The first steps were not without complications. The honey company said that they would be delighted to have a mural, but murals were illegal in the town. They also had no money to pay for it. Willey replied that, if they got the law changed, he would come and do the mural anyway. Several weeks later, to Matthew’s surprise, the town agreed to change the law, and he raised the tiny sum of $500 from friends and went to LaBelle. The project would take 10 weeks and what happened would change the direction of Matthew’s path as an artist forever. When he got to the town, a family put him up in their RV 10 weeks for free. The coffee shop in town gave him free coffee and breakfast every single day. Restaurants gave him free food and people in the town started donating small amounts here and there. Soon, other honey companies in the U.S. donated to the mural! In the end, the artwork was fully funded, and Matthew realized that there was a lot more going on than simply raising awareness about the importance of bees. This mural had illuminated issues surrounding honey bees way beyond the world of beekeepers and honey, but in doing so it shined a light on the beauty of the human spirit. The artist thought about it for a few seconds and replied, “I don’t know. Let’s see!” and “The Good of the Hive” initiative began. It would take nearly eight months to find another mural site, and at least as long to find steady financial support. Matthew ran an online crowdfunding campaign that failed, and struggled with whether it was going to be financially possible to shift the focus of his work as a muralist to his mission for bees and other pollinators. Our community came to the rescue, too. Phyllis Stiles (Bee City USA founder) connected him with members of that great program, and it was a turning point. 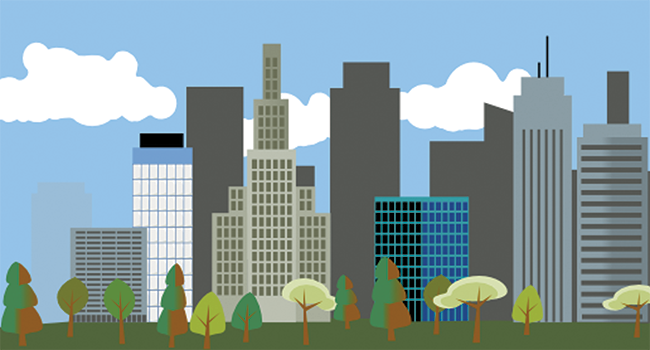 He was overwhelmed with inquiries about the initiative from all over the country, but North Carolina’s Carrboro and Chapel Hill far exceeded the number of emails received from any other town or city. Since they were based near his part time home in Asheville, they were also close enough to hop in the car and meet them, and to perhaps have simple and economic enough logistics. After one town council meeting where he shared his story with the Carrboro aldermen, they immediately (and unanimously) agreed to host and fund a mural in their town. Dan Schnitzer of Carrboro saw the education possibilities, and a second mural was planned for an elementary school. With those, the first two murals as a fully formed initiative were in place. These milestones connected “The Good of the Hive” with Burt’s Bees for their Culture Day in 2016, where he painted a mural at their headquarters. Here in Washington, DC, another special project took place at the invitation of a second-grade girl. Sanah Hutchins wrote a letter to Willey after seeing a video of his work as part of the garden and honey bee education that is part of the curriculum at Janney Elementary School. When Matthew posted her letter on Instagram, the response was amazing. When Sanah’s mother, Nabeeha Kazi, agreed to lead, the deal was done. Just a few months later, when the project was done, city council members and Mrs. Karen Pence, wife of the Vice President, were there for the unveiling. The Pences have hosted beehives both at the Governor’s Mansion in Indiana, and now at Observatory House in DC. 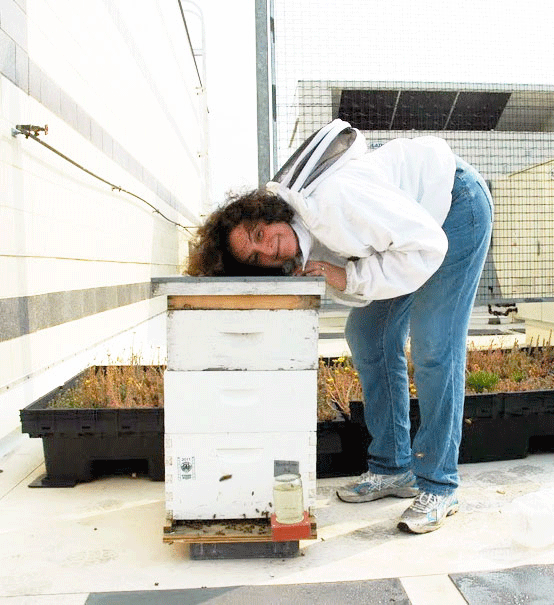 The bees bring together people across our communities and our country. 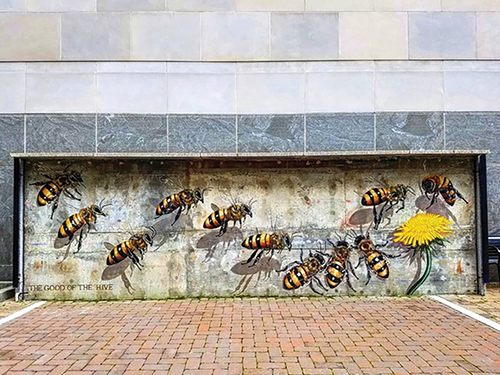 Since the success of its DC project, The Good of the Hive has done spectacular installations at Dag Hammarskjold Plaza in New York, and will soon paint a crowdfunded mural in Peterborough, NH. Willey has also painted a beautiful bee on the hearing aid of a little boy who asked for one. He has received inquiries from Maryland and back here in DC, and we cross our fingers that his message of hope and curiosity and bees comes back our way soon. Even more exciting, The Good of the Hive has been documenting its work and the people it has reached, and it is developing a documentary about the project for which it has produced a trailer. This is an important first step it seeks the same connections and infrastructure the mural projects have found. Stay tuned about where you can see it, and maybe how you can help! Matthew Willey lives part time in Asheville, NC when he isn’t traveling the world painting murals. Visit thegoodofthehive.com to see more of Matt’s incredible work, or to donate to the project. You can contact Matt directly at matt@thegoodofthehive.com.